The alternator is an important component of the car. It is the part of the engine which produces electricity. This electricity is generated by the crankshaft which rolls along with the belt attached to it to create electricity. It helps ensure that the engine and the rest of the parts get power they need to function perfectly. 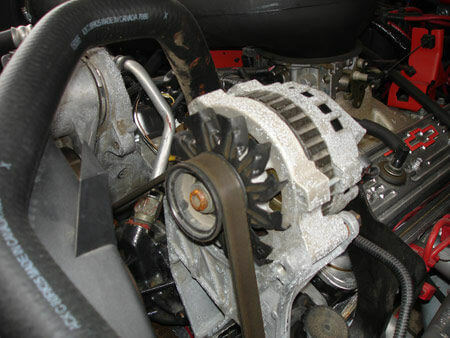 The alternator is connected to the battery and rest of the car by the lines which go in and out of the alternator. When a part is not being used when the car is running, it is used to charge the battery. It helps avoid car starting problems due to battery charge being low. 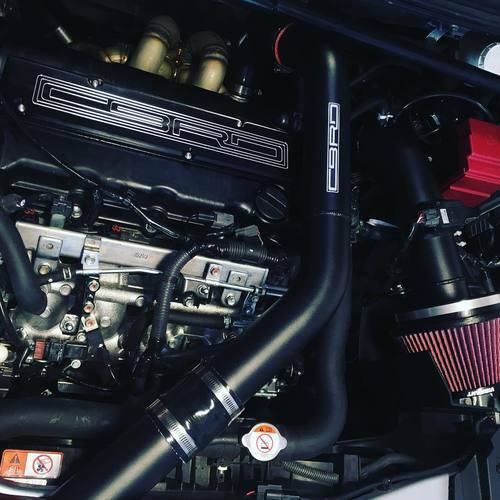 The functions of the alternator are to help maintain the air conditioning system and it also helps to make sure that the GPS, radio, and headlight function without taking a toll on the engine. These are some of the basic functions of the alternator and it is one of the most integral parts of the hybrid cars as it helps those cars generate enough electricity to operate while the engine will not be running. If the alternator is working properly and to its full potential, you will notice an increase in power. If the car is facing problem while starting or staying on, that could be a sign that there is a problem with the alternator or it has failed. When the lights of the car get dim while you are driving at night it is a sign that the alternator is facing a problem. Alternator problems should never be avoided and need to be checked immediately. If the alternator is not diagnosed and repaired on time, it would drain the battery quickly and you might even have to get the battery replaced due to excess load. By getting the alternator replaced as soon as possible it will help increase the lifespan of the car and certain parts that get affected by it. It will help you get a better driving experience. If you feel that there are some points that you still don’t understand about the alternator or want to know more about the types of alternator problems, consult a local mechanic near you to get more information about it. Even if you go to an auto repair shop or hire a mobile mechanic to get the auto repair done, ask them questions regarding any doubts you might have. When you get the tyres replaced, you don’t have to worry about any uncertainties while driving for the next 60,000-100,000 miles. How long the tyre will last depends on the tyre rating and also on how you drive. The new tyres improve the driving experience and make it easier to turn, stop or go. Every 5-7 years, you should consider getting the tyres replaced for safety and better driving experience. It costs a bit more than other auto repairs, but this one is completely worth it. The grip on the road matters the most and new tyres assure that you don’t have to worry much about it. The car needs more distance to stop when the tyres are worn out and can’t make short turns at normal or a bit higher speeds. New tyres make the driving easier by improving the performance. Tyres nowadays are made for better and long-lasting performance with stickier compounds and tread design that improve the road grip. When you go to buy tyres, be clear in your mind about the purpose of the seasons you car might face in the near future or at that time. As there are tyre options for different reasons and seasons. The mileage is greatly affected by the condition of the tyres. If the tyres are worn out and have been uneven, the mileage will suffer a lot as the car will have to work harder to maintain a grip on the road. 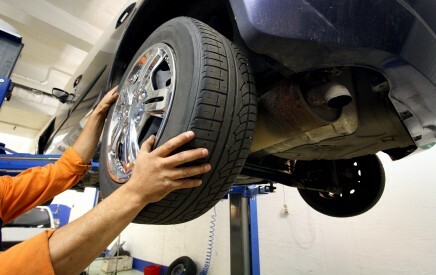 To get better mileage, the tyres need to be well mounted and balanced. Also, keeping them inflated is necessary. Another thing you need to do is to get the wheels aligned whenever you get the tyres replaced. Make sure to get the tyres replaced by a professional mechanic near you for best results. The tyres won’t get worn out prematurely and the car would be able to provide the best mileage. Make sure to get the right tyres for the right seasons and driving purposes. 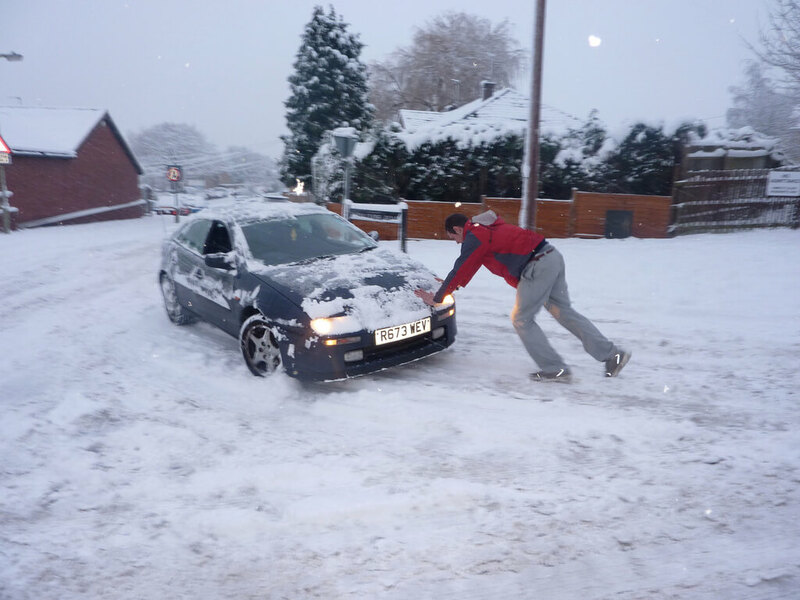 If you leave in a place where it snows a lot, the softer tyres are better which have the tread designed for that particular purpose, but the same tyres will cause problems during summer. The best thing to do is to select a tyre with the perfect combination of both that can provide you best driving experience by maintaining traction in all condition and seasons. Always do proper research, get a professional opinion from mechanics or take the suggestion from the auto repairs shop or mobile mechanic you hire to get the tyres replaced. Here are some tips that professional mechanics would suggest to help brake pads last longer. The brake pads get most affected when you press the brake to stop at high speeds. The higher the speed, the more heat the brake pads would have to deal with. It causes the brake pads to wear out quicker and needs to be stopped in order to make the brake pads last longer. Brake pads replacement is one auto repair that people don’t like to get done again and again but want it to last longer. Hence, taking some precautionary measures are better than regretting paying and visiting auto repair shops. People often ignore using the right foot to press the brake pedal. The brake pedal and accelerator should be pressed using the same foot by taking the force of one and pressing the other. If you use the left foot, their brakes might wear out sooner as the brake and accelerator are simultaneous without the driver knowing that he is making the mistake. You can notice that some cars when passing by having their brake lights on which happens to due people being unaware of the problem and using different feet to press the pedals. Driving smoothly at a constant speed or going for a cruise rather than short drives is always better for brake pads. On long drives and cruises, you don’t have to press the pedal as often as you have to in the city. Don’t wait till you reach the bumps to press the brakes. Instead, keep an eye out for it and slow down according to prevent unwanted braking which causes unnecessary wear and tear to the brake pads. Make sure you don’t carry any unnecessary weight in the car. An overloaded or heavy car causes the brake pads to wear out quicker as it has to take more pressure. Avoid carrying any unwanted things in the car and just keep a basic emergency kit. If the car is heavy, it causes a problem to the tyres and affects the fuel economy. The brake fluid plays a really important role in the braking system and it needs to be changed on a timely basis to avoid brake pads from wearing out soon. The brake fluids keep the temperatures in control when there is excess heat generated due to emergency braking and high-speed braking. Brake pad replacement doesn’t cost too much. But if you do the rash driving, you might require getting this auto repair done a lot. So follow few simple things and save money as well as time. CAN YOU TRUST ALL MOBILE MECHANICS FROM AUSTIN? There are many mobile mechanics in Austin, but can you trust them all? The mobile mechanics business has increased immensely in the past couple of years and mobile mechanics have begun providing services in all parts of the world. Mobile mechanics is a new segment of auto repair industry that provides auto mechanics the opportunity to grow their business and expand their area of reach. But the important question is that whether can you trust all mobile mechanics from Austin? In Austin, there are many mobile mechanics available for various auto repair services nowadays. But there are a few things you need to keep in mind and take a note of before hiring a mobile mechanic. Firstly, make sure the mobile mechanics are licensed or not. 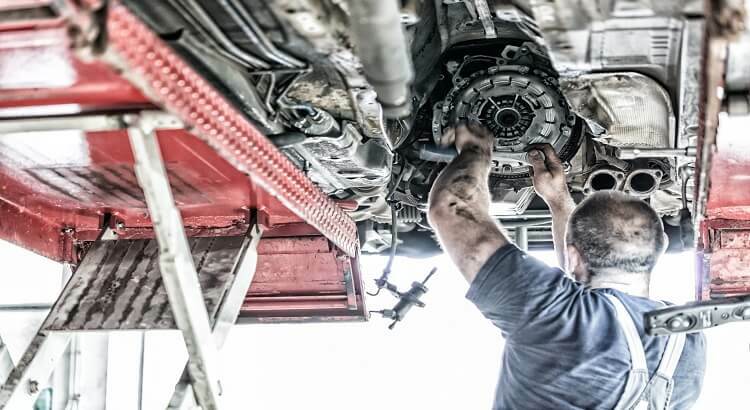 Making sure that the mechanics are licensed assures that safety of the car and you know that the mobile mechanic is capable and has the knowledge of your car problem. Secondly, book a mobile mechanic from a trusted website that provides you guarantees or warranties regarding services. Otobots provides a warranty of 12 months/12000 miles to its customers. This is an important thing to get on a customer’s part as it allows you to drive without worries for 12 months and if something does happen again, you are already covered. The others to keep in mind are the price/service policies and quality of mechanics the company provides. Check the reviews of the auto mobile repair service providers before hiring one. 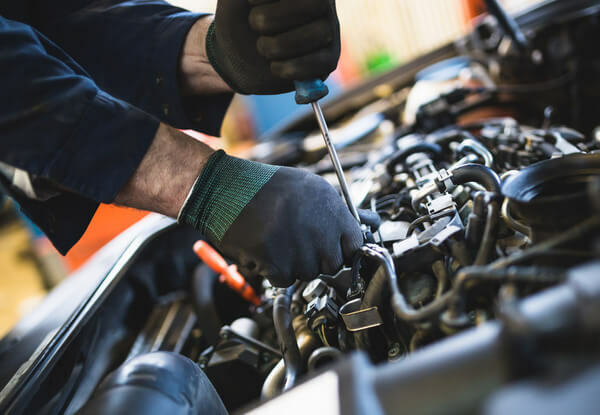 The best things about booking a mobile mechanic from auto repair service providers like Otobots is that all the mechanics are well-experienced and certified. The services they provide have a warranty and the pricing is transparent. The amount quoted to you before the booking is the amount that will be charged. There are no hidden charges and you don’t have to pay a single penny more than the quoted amount. It is time-saving and you can ask them to come to you wherever you are, just provide them a proper parking space is all you need to do. The mobile mechanics from Otobots are specialized in particular diagnosis and repairs. This means the mechanic that comes to you is a master in diagnosing and repairing a particular problem. If you hire a mobile mechanic keep all the above in mind, so you can trust the mechanic without any worries of getting scammed. The risk of your car getting damaged is zero to none. Author Jay VasdewaniPosted on January 23, 2018 January 23, 2018 Categories Latest-blogTags Auto Repair Services, Auto Repair Shop, Auto Repairs in Austin, Car Repairs in Austin, Mechanics, mobile mechanics, Mobile Mechanics in AustinLeave a comment on CAN YOU TRUST ALL MOBILE MECHANICS FROM AUSTIN? WHY SO MANY BATTERY AND STARTER GOES BAD DURING WINTER SEASON? This is the most common problem that people face during the winter season, “car not starting due to battery or starter problems”. During winter, it does get difficult for the battery to function as a battery is filled with chemicals that produce electrons. When the weather is cold it becomes difficult for the battery to produce more power as the battery produces fewer electrons. Therefore the starter motor has less energy to start the engine which leads to the car not starting easily. During winter, the starter motor and car accessories like radio, headlights and other requires more power to function which affects the battery even more as the battery is not producing enough power compared to the warmer days. 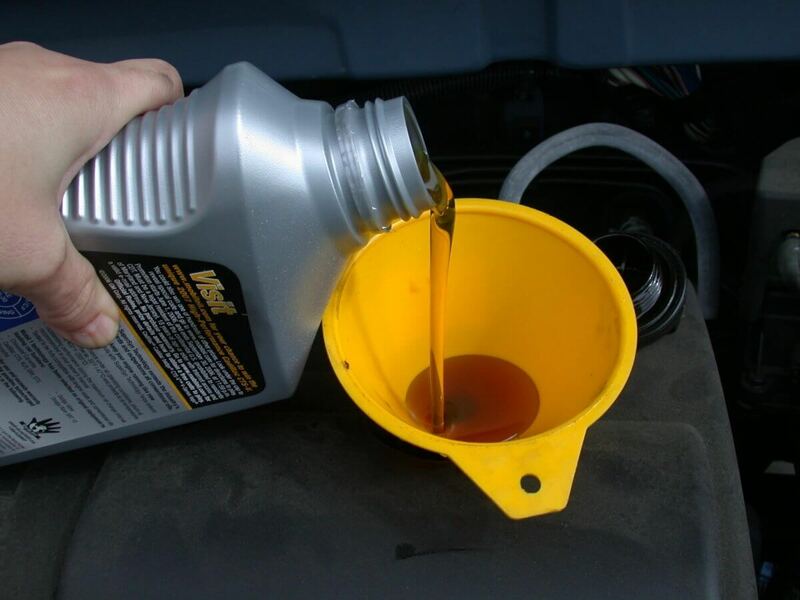 The starter motor demands more power than usual in winter as the engine oil becomes thick due to cold weather. This makes it difficult for the engine to start which causes the starter motor to demand more power. These reasons cause the battery and starter to go bad during winter as the car requires more power than usual. The accessories and other components make it difficult for the battery to supply power in such weather resulting in the problems. As the winter season arrives, get your car battery assessed and changed if required. If your battery is old, get it replaced. The life of batteries does differ, but assessment will help you get a better idea of the decision to make. The best thing to do is to buy the battery recommended in the owner’s manual. Diagnose the problems on your own about what other problems might arise due to simple factors. Check for corrosion on battery terminals. Corrosion can cause major problems in starting the car. If there is corrosion clean it or get it cleaned at an auto repair shop or by calling an auto mobile mechanic service. Another thing that can help avoid this problem is battery blanket. A battery blanket wraps the battery and covers it from all four sides. It produces heat that prevents the battery liquid from freezing. You can also add a trickle charger on the top of the battery that provides enough power to the battery to keep it from freezing when the car is off. Author Jay VasdewaniPosted on January 23, 2018 January 23, 2018 Categories Latest-blogTags Auto Repair, Auto Repair Shop, Car Repairs, mobile mechanicLeave a comment on WHY SO MANY BATTERY AND STARTER GOES BAD DURING WINTER SEASON? 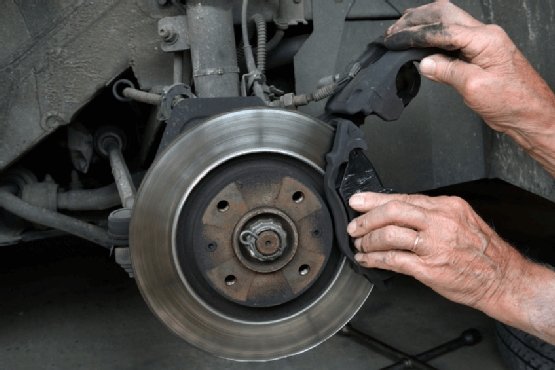 DO YOU NEED TO CHANGE ROTORS WITH BRAKE PAD REPLACEMENTS? This is a question that comes up a lot when you go for a brake pad replacement as brakes of a car are its most important part. A driver’s safety depends on the condition of the brakes. Most of the auto-repair shops and mechanics would suggest you change the rotors when you change your brake pads. It is necessary to do so as well taking into consideration a few other factors. All types of cars have rotors and to change all four of them can be quite expensive and not everyone can afford to do it frequently. Rotors generally have to be replaced after 15000 – 70000 miles. It also depends on your driving style as the way you apply brakes, the type of traffic conditions you drive in are all among the factors which affect the brake pads and rotors. Even though brakes pad and rotors work together, they are different parts and wear-out differently which makes it important to inspect each part carefully before getting it replaced. Brake rotors need to have a certain amount of thickness for it to be considered safe. So, you need to check the thickness first. If the thickness is not as required, you should get it replaced as soon as possible. If you don’t replace the brake rotors thinking that it will still last for a while, you might observe a reduction in braking efficiency. The other precautionary measure you can take is that when you get your brake pads replaced, you should get the rotors checked. If the surface of the rotors is uneven or looks a bit damaged, you should get the rotors surface machined to make it smooth and even. The other option here is to get the rotors turned. It will help maintain an even grip between the rotors and the brake pads. If the brake rotors are uneven or damaged, it may cause it to vibrate when you apply the brakes. In the end, it all comes down to this, if you can afford to change the rotors, it is best to do so. It will help you get phenomenal performance and your safety will be assured. If not, then wait till it gets to the minimum level to be considered safe and then get it changed. 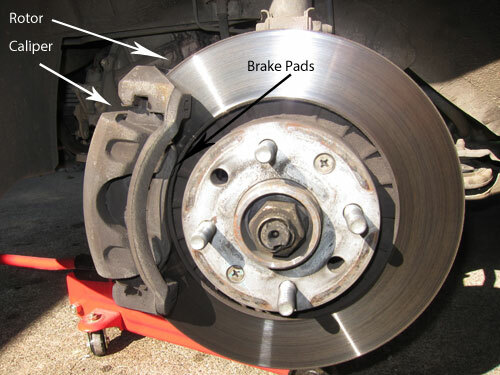 Author Jay VasdewaniPosted on December 8, 2017 December 12, 2017 Categories Latest-blogTags Auto Repair, Auto Repair Shop, Brake Pad Replacement, Car Repair Shop, Mechanic, mobile mechanicLeave a comment on DO YOU NEED TO CHANGE ROTORS WITH BRAKE PAD REPLACEMENTS? Could Simple Maintenance Save You On Car Repair Costs? When people think about auto repair, they immediately think about the high-priced solutions that are at Repair Shops. This happens a lot, too. You go to an auto body shop and they look under the hood, only to find out that you have a lot of work that needs done. They could give you an estimate for hundreds if not thousands of dollars, causing you to grimace at the price tag. How can one drop the price a bit? Well, that’s the thing about repairing cars, only a few people know how to do it correctly, and everyone else has to pay for the labor and the parts. But there is a way to reduce the overall cost, and it starts with understanding a few tips about maintenance. If you can just do a few simple things, you could reduce the cost of your repair bills outright. Take into consideration the following simple tips. Do not go with premium fuel. Premium gasoline is not only going to be expensive, it’s not going to save your engine. In fact, you could end up doing what is called “pinging”, in your car. What this does, is it causes the engine to burn elements a bit faster, and could end up causing your car to end up with an engine fire over time. Now there are some exceptions to this rule, but chances are you are not driving a race car. Only special cars really need the premium gas that stations sell, and it’s not the average consumer. Don’t be fooled, don’t buy premium unless your owner’s manual specifically says that you should, simple as that. Every 3,000 miles, right? Well, that’s no longer the case. Today, you’re going to have to read your owner’s manual carefully. You can always try to go with 3,000-mile oil changes, but if your car isn’t that old, and has been made after 1992, you do not need to follow this rule. In fact, you could cause damage to the parts, especially for those that have to use a special type of motor oil. Read your owner’s manual, follow that as the bottom line, and don’t believe the hype that surrounds changing oil at every 3,000 miles, it’s not necessary. The lights on your dashboard are important. If you don’t understand them, then look at the owner’s manual and figure out what is wrong. Do not let the lights come up and ignore them. This includes tire pressure lights, check engine lights, and the dreaded oil light. If you ignore these, chances are to pay big bucks later. Some people have even driven for miles, but there will be a point where your car breaks down, and you’ll end up with a serious issue. Do not ignore the lights, and always double check what the lights mean if you don’t know what is going on. Doing so, will save you from making the costly error of ignoring them. Once you figure out the issue, go to a trusted Mechanic and save money on a bigger issue. Author Jay VasdewaniPosted on November 27, 2017 November 27, 2017 Categories Latest-blogTags Auto Repair, Auto Repair Shop, Car Makes, Car Oil Change, Car Repair Shop, Car Repairs, Mechanic, mobile mechanicsLeave a comment on Could Simple Maintenance Save You On Car Repair Costs? It’s easy to get caught up with car repair issues. When you don’t know much about how to repair a vehicle, you are going to consult a mechanic at one point or another. Many Repair Shops know that people don’t know much about their vehicles, so often they take advantage of consumers. This is a major issue that can cost you a great deal of money. To offset that, you’re going to want to pursue a different path. In fact, consider the following tips that can help you avoid getting scammed, especially if you need some simple repairs. With the nature of the internet, you can look online and figure out what to do for minor things. Look online for tutorial videos, and different “how to” articles about your specific make and model. You’ll find that you can do a lot of the things that many garages charge a lot for, by yourself. Things like changing spark plugs, changing wires, fluids, adding different components, and even fixing filters etc., you can do a lot. This can save you hundreds of dollars. It’s easy to get through, even if you have a newer model that is normally difficult to manage. Just look online for how to learn to fix smaller issues, and you’ll no doubt be able to gain the upper hand. The next thing that you can do is simple, look online for a Mechanic that has been reviewed favorably. You can find a lot of reviews on the web, and they can tell you how to work with the right things moving forward. Looking for reputable mechanics is not a difficult matter, it’s just a matter of looking into reviews online. You’ll be surprised by how many people have reviewed mechanics near you. A Repair Shop that doesn’t allow you to get a free estimate is not to be trusted. Do not go with any company that doesn’t allow you to get an estimate of the issues that you’re having. You’ll find that you will end up with a positive view of garages and what the differences are in terms of pricing. Unless your car is not working at all, you should go around your area getting estimates. Always look to see what the cost for parts are, and then compare that to the labor. Ask the individuals if you can buy the parts yourself, and just pay for labor, and whether you can save money through other means. A reputable garage will give you a good quote, with no strings attached, and may give you a discount if you purchase their parts etc. If your car is newer, you may be under warranty. Many consumers forget about this, or don’t inquire with their local dealership. Always look to see if your vehicle is under any warranty, and if it is, seek out specific help from the dealer and a garage that they are associated with. This will help you gain the upper hand with your car repairs, and could save you a great deal of money.